The exploration of the Kuban territory by the earliest people got under way about million years ago. Since then the people were constant dwellers here. 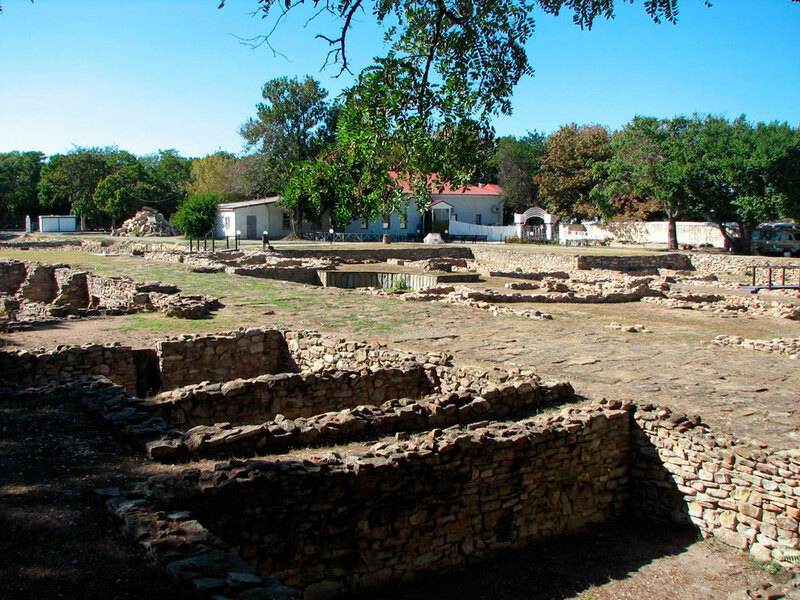 From the time of the early bronze age Kuban was gradually taking the meaning of one the world history centers and staging posts, inherent in it in the later periods. From the third millennium B. C. the numerous nomadic tribes settled over the steppe part of the now Krasnodar Territory, that belonged to the Great Steppes belt of Eurasia. In the first half of the 1st millennium B. C. the steppe part of Kuban area was inhabited by the Iranian-lingual nomads — the Scythians and the Sarmatians, in the middle and low course of the Kuban river the settled agricultural tribes — the Meoths — dwelled, who were in the close relations with their neighbours. The 7th century B. C. saw the beginning of the Greek colonization of the Caucasus Black seaside — the cities of Phanagoria, Germonassa, Gorgippia, etc were founded. In 480 B. C. the Greek cities on the Cimmerian Bosporus were united in a single state — Bosporan kingdom, progressively widening through annexation of the lands adjacent to the kingdom. Having gone through the flourish in the 4th — 3rd centuries B. C., Bosporus formally fell under the Romans’ power at the end of the first century ВС. 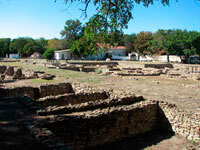 In the 1st — 2nd centuries A. D. the Bosporan cities reached the new peak of their development, but in the 3rd — 4th centuries A. D. the kingdom was undermined by the strikes of the Goths and other barbarian tribes and in the seventies of the 4th century the Bosporan kingdom was finally ruined by invasion of the Huns. The fifth century in Kuban was a witness of the constant wars between the numerous barbarian tribes inhabiting it, culminated in enslavement of some tribes by the others. As for the cities, once the part of Bosporan kingdom, those as many other local tribes fell under the power of Byzantine empire, gradually Christianizing the «barbarians». Over the period of centuries some of the state formations changed the others on the territory of the region: subsequent to the short-existed Great Bulgaria — semino-madic union of Bulgarians-Onogurs — the Khazarians settled in the Azov sea region, and by the 8th century the Khazarian kaganate became a powerful military state, the population of which was leading a seminomadic existence. In 965—967 the prince of Kiev Sviatoslav Igorevich inflicted a defeat upon the Khazarian kaganate and the defeat were brought to the end by the tribes of the Pechenegs and the Gooses. The free left-bank areas of the Kuban River were inhabited by the Adyg tribes, moving from the foothills by the end of the 10th century. The bright and original culture was created by the Alanian tribes pressed back in the period of the Hun invasion from the steppes of the Caucasus feet to the upper reaches of the Kuban and Terek rivers. The Alanians were occupied with agriculture and cattle-rearing, they were successful in the blacksmith’s work and trade (the latter was favoured by the «Great Silk Way» running through the west of Alania). The gradual consolidation of the Alanian tribes beginning even in the early centuries brought to formation of the early feudal state in the 10th — 11th century, to which the adoption of Christianity and the establishment of Alanian episcopate contributed. The Alanian culture enjoyed its flourish in the 10th— 11th century. 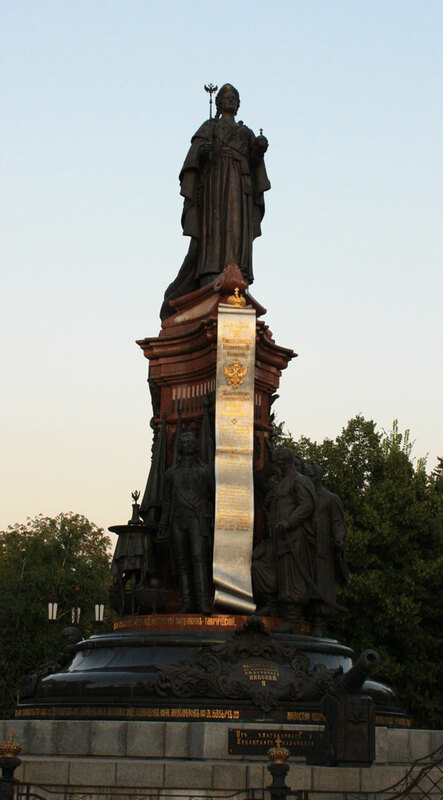 In 988 the anabases of Prince Sviatoslav Igorevich were among the results of appanage Tmutarakan princedom to appear in Taman peninsula: the baptizer of ancient Russia Prince Vladimir Sviatoslavovich the Gorgeous Sunshine placed his son Mstislav on the Tmutarakan throne. The population of the princedom was multinational and incorporated local tribes — Alanians, Bulgarians, Khazarians, Goths, Kasogs and also Slavonic merchants and craftsmen. Despite of the limited area the Tmutarakan princedom was a major economic, political and Christian centre of all the North-West Caucasus and was the determinative political force in the history of the Kuban river region till the end of the 11th century. After 1094 the city of Tmutarakan, isolated from the Russian lands by the Polovtsians (the Kypckaks), stopped to appear in the Russian chronicles and by the mid of the 12th century almost all the territory of princedom fell into sphere of the Byzantine influence. The twenties and thirties of the 12th century were marked by the Mongolian invasion: in 1222 the troops sent by Chinghiskhan from Transcaucasia moved to the North Caucasus. The lands of the Alanians and the Adygs devastated, the Mongolian hordes descended upon the Polovtsian steppes. In the late thirties of the 13th century the Mongolians conquered the lands of the Polovtsians, Volga Bulgarians and the Caucasus as far as Derbent. Almost everywhere the conquered peoples were laid under tribute, and the local aristocracy was done away with. On the captured territory the large state with the name of the Golden Horde was founded. In the 60-ies of the 13th century the trading stations of the Genoese Republic appeared on the eastern lands bordering the Black Sea. Later those grew into the city colonies, through which Taman and a part of the the Black Sea lands were again involved into the world trade of the West Europe with the Orient. Such state of affairs survived till the end of the 15th century. By the mid of the 15th century the independent Crimean khanate, into which the population of Taman was also incorporated, segregated from the decayed Golden Horde. The Genoeses were driven out and the khanate itself fell into dependency of Turkey. In the 16th — 18th centuries the right-bank areas of the Kuban river were inhabited by the Nogaians and left-bank areas were inhabited by the West Adygs (the Circassians). The Nogaians were leading a nomadic existence. In contrast, the West Adygs were a settled people who were occupied both with agriculture and cattle-rearing. Neither the Nogai hordes, nor the Adyg tribes created state formations. 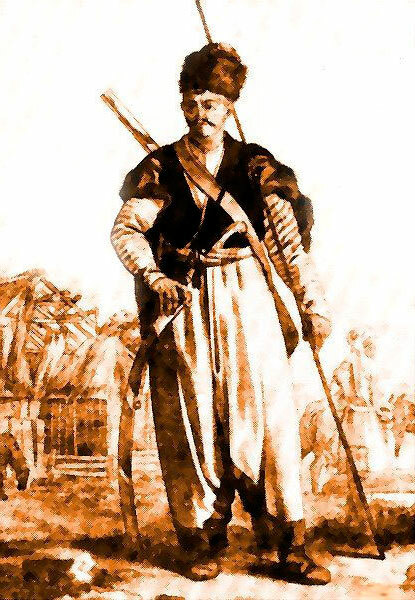 At the close of the 17th century and in the early 18th century the first Russian settlements appeared on the Kuban territory: with the revolt under the leadership of Kondraty Bulavin subjected, Ignat Nekrasov, one of his fellow-fighters, brought to Kuban almost three thousand Don Cossacks to establish some kind of a Cossack republic, as they united with the Cossack old-believers who had settled here yet at the close of the 17th century. In the second half of the 18th century the Caucasus and Crimea became the place where the interests of the Russian and Osman empires clashed. After the 1768-1774 war, victorious for Russia, the prostrate Turkey still preserved the considerable influence on the nominally independent Crimean khanate, that incorporated the right-bank areas of the Kuban river. The activization of Turkey’s activities in the North Caucasus brought the government of Russia to build the Azov-Mozdok fortified line in 1777 and in a year the western part of line was carried to the right bank of the Kuban river under A. V. Suvorov’s direction. In 1783 Catherine II issued manifest of annexation of Crimea, Taman and the right-bank Kuban river areas to the Russian empire. The Russian-Turkish war in 1787—1791 brought a new victory to Russia. 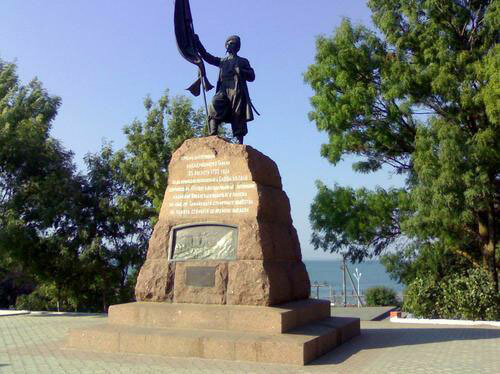 By the Charter of Catherine the Great as of June 30, 1792 the right-bank Kuban river areas and Taman peninsula were granted to the Troops of the Faithful Black Sea Cossacks formed in 1787 from the Cossacks of abolished Zaporozhskaya Sech. It was a measure for the empress to solve the problems of assimilation of the newly annexed lands and their protection from the outside invasions. 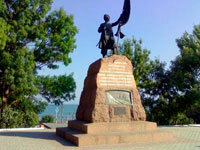 The major part of the Black Sea Cossacks moved to Kuban in 1792— 1793. The Cossacks founded Ekaterinodar, the administrative centre of the Cossacks’ troop land, kuren (unit of Zaporozhian Cossack troop — translator’s note) settlements and started the erection of cordon line. Above the mouth of the Laba, higher up the Kuban river the Don Cossacks settled down to make the so called Old Line. The onset of the 19th century was inaugurated by the undisguised confrontation between the Cossacks and the mountaineers of the Kuban river left bank. As the left-bank Kuban river areas passed into possession of Russia by the terms of Adrianopol peace treaty, in which 1828–1829 Russian-Turkish war was culminated, the Russian regular army and the Cossacks troops solved the problems of the actual annexation of the North-West Caucasus. 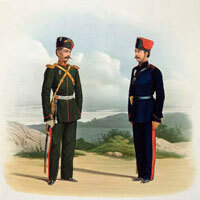 The thirties and forties of the 19th century were marked in the history of Kuban by formation of the Caucasus combat Cossacks’ troops in 1832, changing struggle tactics on the cordon lines, building coast line to unite all the fortifications on the north-east seaboard of the Black Sea, and also the Labinsk line to reduce the protected borders and to consolidate a part of lands over the Kuban river. 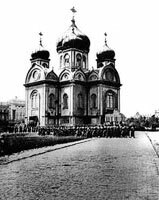 At the same time the Cossacks and regular forces had to face the muridism — the powerful military and religious movement of the mountaineers. In the period of Crimean war in 1853—1856 England, France and Turkey tried to exploit the confrontation between Russia and the Circassian tribes in their own interests, but despite the evacuation of the Black Sea coast line, leaving Anapa and Novorossiysk, and the mountaineers’ attempt to capture some fortifications, overall the military campaign in the North-West Caucasus was in favour of Russia. In early sixties the advancement of Russian army up the lands over the Kuban river resulted in the major part of the Circassian tribes to swear allegiance to Russia, the «defiant» tribes were bayonetted into submission, the part of Adygs was settled on the plain at the Kuban and Laba rivers. The mountaineers who did not acknowledge the power of Russia, were permitted to emigrate to their fellow-believers in Turkey. On May 21, 1864 the bloody long-standing Caucasian war finished. In the pre-reform period Kuban was considerably inferior to the other regions of the Russian empire in economic respect under disadvantages of the borderline existence. 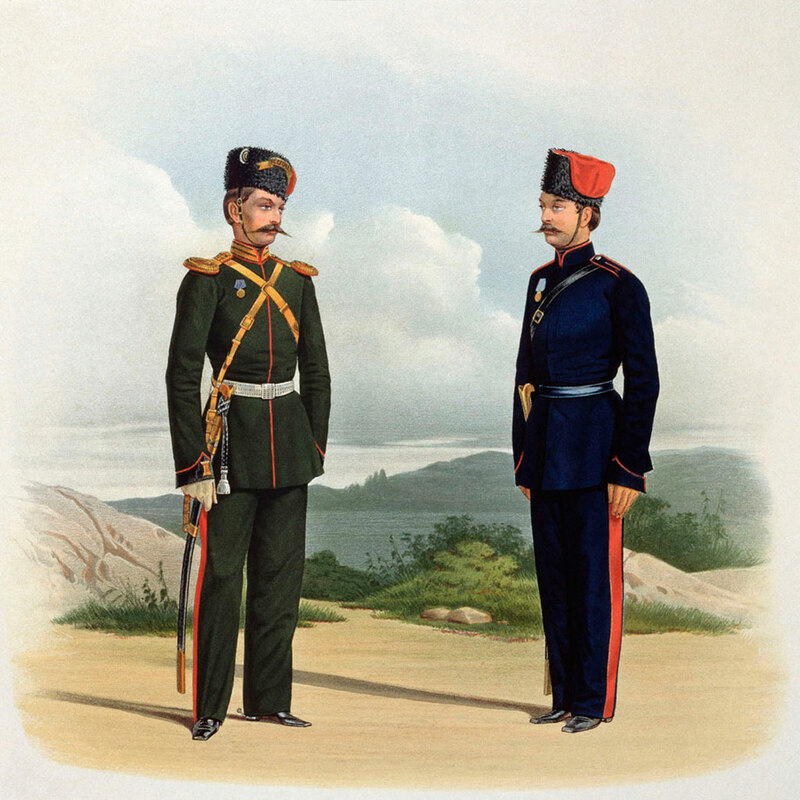 The sixties of the 19th century were the time of the fundamental administrative and territorial reformations in Kuban: in February of 1860 the decree to change the name of the right wing of the Caucasus line for Kuban region and the left one — for Terski region was issued. 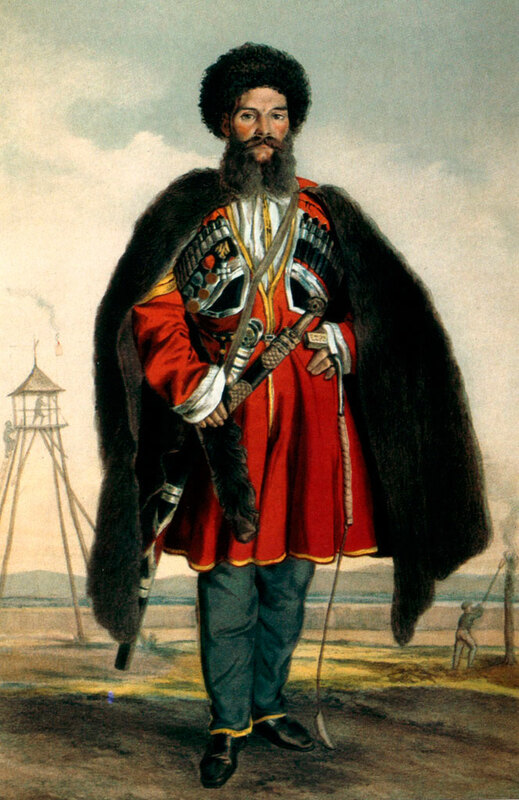 In November of the same year the Black Sea Cossack army was transformed into Kuban Cossack army with adjunction of the first six brigades of the Caucasus combat troops (the rest of brigades made up Terski Cossack army); in 1862 the «Provision on the population of the West Caucasus piedmont» permitting the Cossack resettlers to sell the real property assets in stanitsas to all empire orders and degrees of men was issued. 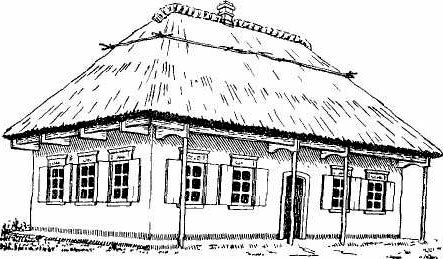 In 1868 the law on the rights and duties of non-residents in Kuban region was adopted opening, in effect, the free influx of population to Kuban. The above reformations, together with the all-Russian bourgeois reforms of the sixties and seventies of the 19th century made for the qualitative change of socioeconomic and ethnocultural situation in Kuban. At the close of the 19th century and in the early 20th century the Kuban region became one of the primary agricultural regions of the Russian empire, the territory of the region was covered by the network of Vladikavkaz railway lines, the large industrial, trade and goods distribution centres appeared: Ekaterinodar, Novorossiysk, Armavir and Yeisk. The opportunity of free population influx and the business and economic attractiveness of the Kuban lands provided the powerful resettlement processes, formation of new estate composition of the region dwellers, qualitatively different ethnic picture. The events of Russian revolution in 1905-1907 provoked no unusually violent outbursts in Kuban, and the World War I mustered almost 113 thousand Kuban Cossacks to become a powerful force in the Russian cavalry and infantry. The great number of the non-residents was also called out for the front. The February revolution of 1917 turned into the change of power. The commissars were sent by the Provisional Government from Petrograd. The local Soviets and the propaganda of the social democrats and the socialist-revolutionaries gathered head. After the overthrow in October of 1917 Kuban and the Black Sea region were plunged into the civil war that implied a split of Cossack and non-resident population into the «reds» and «whites», mass terror, hunger, devastation and the victims beyond compute on both parties. By autumn of 1920 the Soviet power was established in Kuban, that was a citadel of the white movement in the south of Russia for a long time. The twenties and thirties of the recently past century besides the NEP, «industrialization», «collectivization» and «cultural revolution» survived in the history of Kuban by the mass terror in relation to the Cossacks and forehanded peasants, by campaign of the church values withdrawal, by the factitiously provoked hunger and by the waves of repression. From the first days of the Great Patriotic War they performed in Kuban the mobilization, and the drive to raise funds for defense was arranged. The part of industrial enterprises changed for the output of military products. From August of 1942 till October of 1943 Krasnodar Territory was occupied by the Nazi invaders. In this time interval the Hitler occupants killed the thousands of Kubanians and caused the great damage to the national economy. Just after liberation of Kuban the restoration works began to continue till the end of the sixties. From the 60-ies through the 90-ies Krasnodar Territory developed as the largest agricultural region of the country to possess also the powerful industrial potential and the Black Sea coast areas have the importance of the resort zone. © 2010-2019 «Business-Kuban». While use of materials, active hyperlink to this site Obligate.